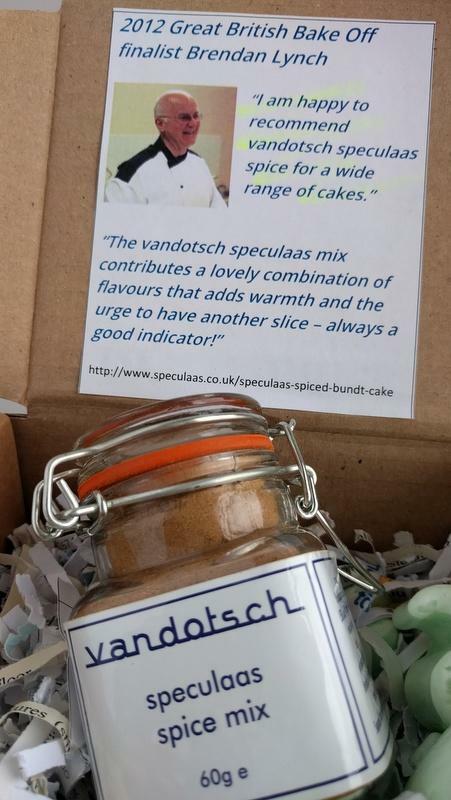 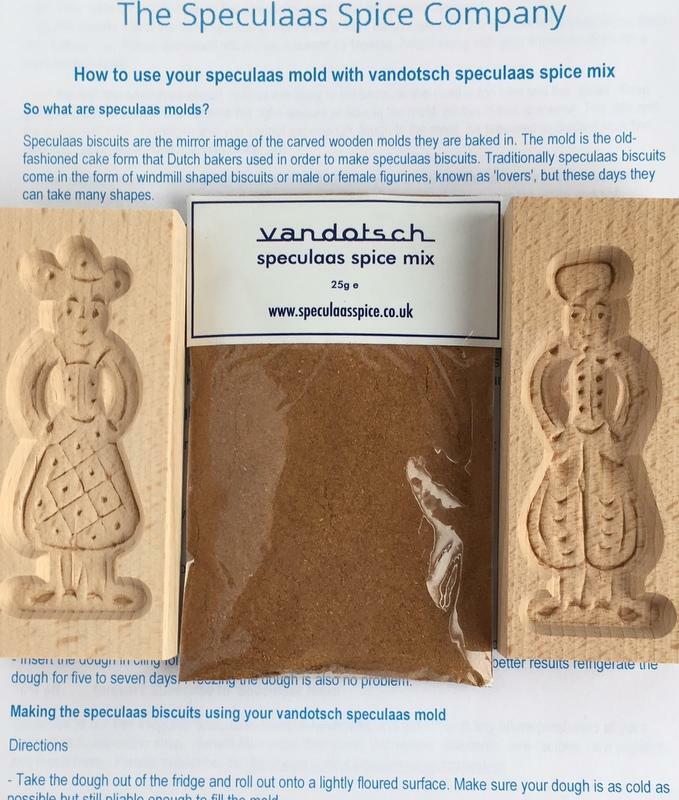 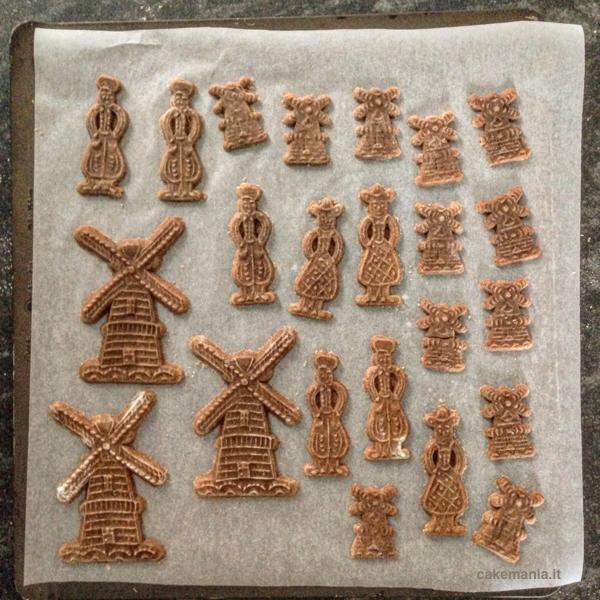 Make your own speculaas biscuits or cookies with our woman and man mould and vandotsch speculaas spice. 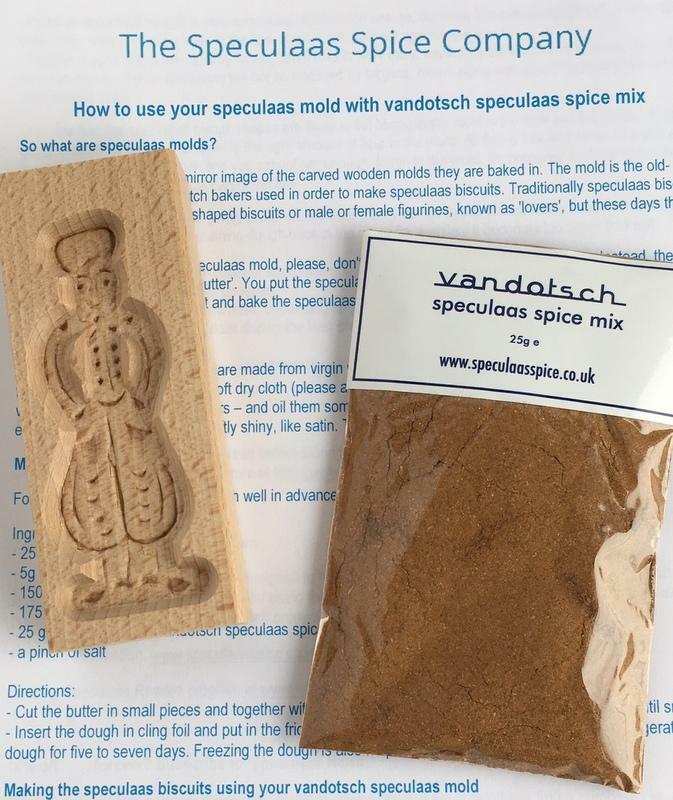 Included: 25g vandotsch speculaas spice with two moulds. 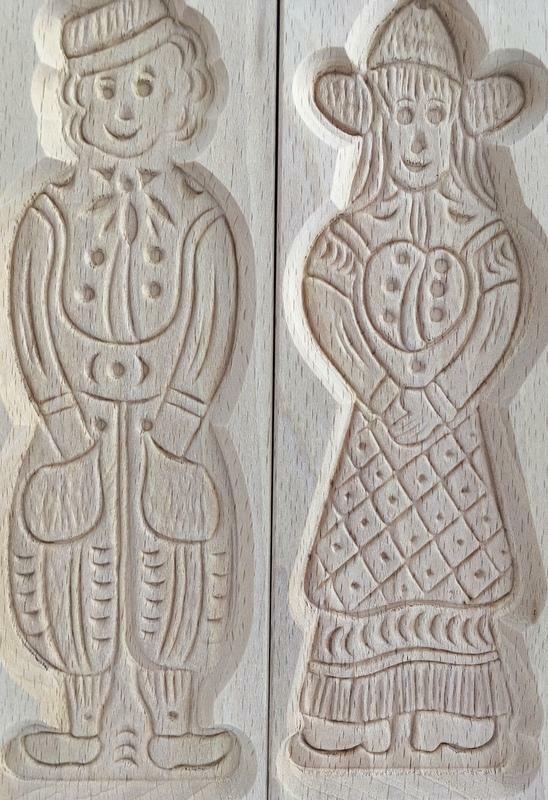 Size of the wooden molds: 22 x 7cm. 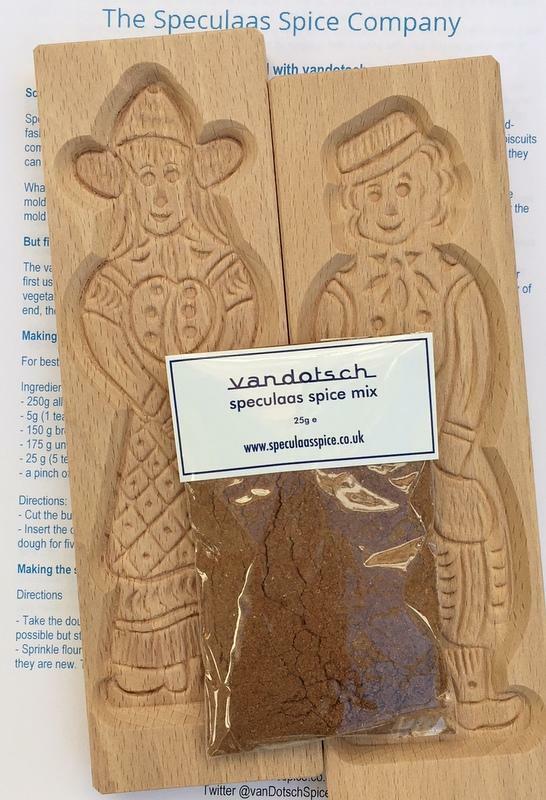 2 vandotsch speculaas wooden moulds – ;woman and man in traditional Dutch clothing size of the moulds: 22 x 7cm each. 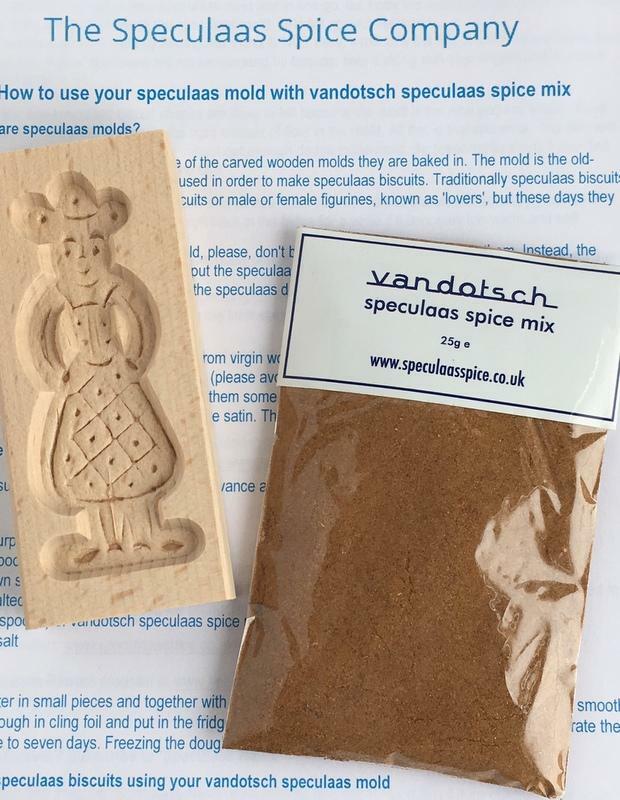 an information sheet on how to treat the mold and how to make speculaas biscuits with the mould.